The Yamaha YBS-52 baritone saxophone is the most requested baritone by schools nationwide. The YBS-52 features a clear lacquered brass body, drawn tone holes, leather pads, and stainless steel springs. The intermediate player will love the easy action of the Yamaha YBS-52's keywork and the freeness with which it plays. Band directors favor the YBS-52 for its solid intonation, full sound, and physical durability. 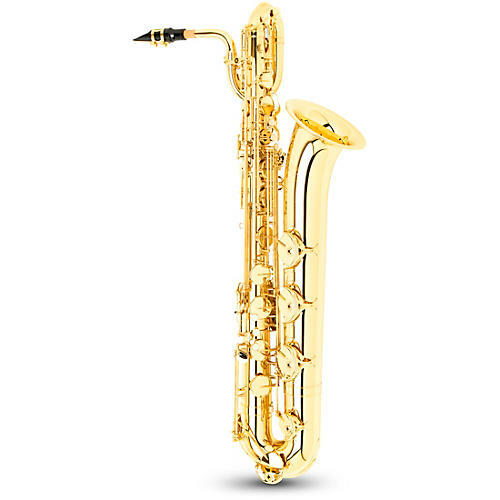 Each YBS-52 baritone sax comes standard with range to low A and a front F mechanism.